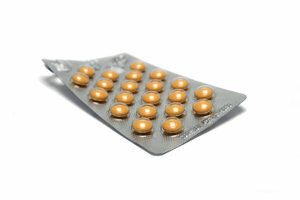 If you’re taking birth control pills you might want to listen up! A number of studies have concluded that there are complications that can stem from YAZ, Yasmin and Ocella birth control pills. According to some researchers, these pills have progestin drospirenone in them, which has previously been linked to venous thromboembolic events. Some of these events have been ischemic stroke (CVA), myocardial infarction (MI), deep vein thrombosis (DVT), pulmonary embolism (PE) and even heart attacks. Both YAZ and Yasmin are products of Bayer AG. Ocella. Bayer AG. Ocella is the generic product of Yasmin and is distributed by Barr Laboratories. If you’re taking any of these pills, you may be increasing your risk of injury by a dangerous pharmaceutical product. Health complications from oral contraceptives can have some lasting effects and can even be deadly. Be cautious, be careful and look into your medications and contraceptives before taking them! In addition to using these pills as contraceptives, many woman take them to treat osteoporosis, menopause and moderate acne. As of April of 2012, Bayer AG has already dished out more than $140 million to patients who claimed that YAZ or Yasmin has cause blood clots. Blood clots can cause some serious complications with your health and can even kill you. Our Boston medical malpractice attorneys understand that some experts believe that Bayer has dished out even more for health complications resulting from its products. According to Richard Vosser, an analyst with JP Morgan Chase & Co., the company is believed to have already paid close to $3 billion to resolve various lawsuits against Yasmin and YAZ. There have already been about 500 lawsuits involving a number of injuries, most commonly blood clot injuries, which have been resolved. This doesn’t even account for half of the lawsuits against the company as many are awaiting a resolve. There have also been a number of cases in which patients have claimed that the contraceptives have caused them gall stones and/or gallbladder damage. The company says that these claims are untrue and are not linked with their product. Back in April, the U.S. Food and Drug Administration (FDA) ordered both Bayer and the makers of other contraceptives that had drospirenone in them to beef up their warnings. The FDA wanted the companies to better inform patients about these products and their risks for blood clots and other serious health problems. According to researchers, the drug drospirenone can increase a patient’s risk for blood clots by nearly three times. In the last couple of years, there have been more than 10,000 lawsuits against YAZ that have been filed in federal courts. Each of these lawsuits alleging product liability. Women over the age of 35-years-old who have a history of serious medical issues or smoke are among those who are most at risk of developing complications from taking YAZ and other oral contraceptives. If you or someone you love has been hospitalized by an oral contraceptive or any other medication, contact Boston Personal Injury Lawyer Jeffrey S. Glassman to schedule a free and confidential appointment to discuss your case. Call 877-617-5333.